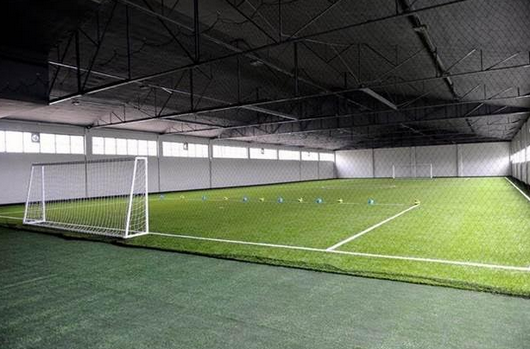 Sports and Recreational Training Arena, otherwise known as SPARTA, has recently announced that the first and only FIFA certified 1-star indoor football field in the country will be open 24/7 beginning January 2016. This is great news for football aficionados who would like to catch up with their soccer kicks after school or after work. Located along Pioneer Street in Mandaluyong City, SPARTA has been at the forefront of sports facility development as it aims to capture various sports interests within its hectare-wide property located right smack in the metro. It has also recently opened the SPARTA Calisthenics Academy and will also soon open the much-anticipated Maximus Athlete's Shop Café, which caters to Multi-sport athletes such as cyclists, runners, swimmers, as well as coffee connoisseurs. For more inquiries, please call 6553799.